the nytpicker: Maureen Dowd Uses "All Cage, No Bird" Line For The Fourth Time Today. Not That We're Counting Or Anything. 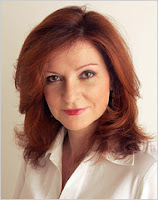 Maureen Dowd Uses "All Cage, No Bird" Line For The Fourth Time Today. Not That We're Counting Or Anything. W.: I hear ya, 42. As if his head wasn’t big enough. This cat is all cage, no bird. He doesn’t have a clue. Nothing I hate more than one of Dowd's imaginary conversations. No cage, all turd. The link from Twitter suggested that Dowd "plagiarized herself". It may be telling that she has used this phrase several times, and it may be bad writing, but repeating four words doesn't seem like plagiarism to me. More like oration. It's not bad writing. Actually I think it's clever. But most great writers have the common sense to not repeat the same phrase again and again. Her inspiration William Safire would never have approved. Hed makes it sound like she used it four times today. Oh my gosh! Four times in 12 years! Who cares? You're really reaching on this one. Don't the greatest orators reuse the same phrase again and again? Do you want Martin Luther King to stop repeating the same phrase? Do you want him to precess from "I have a dream" to "I have a nocturnal thought" to "My mind was imagining late last night" to "A meme was flowing through my brainspace" to etc. Do you want Martin Luther King to stop repeating the same phrase? Don't the greatest orators reuse the same phrase again and again?